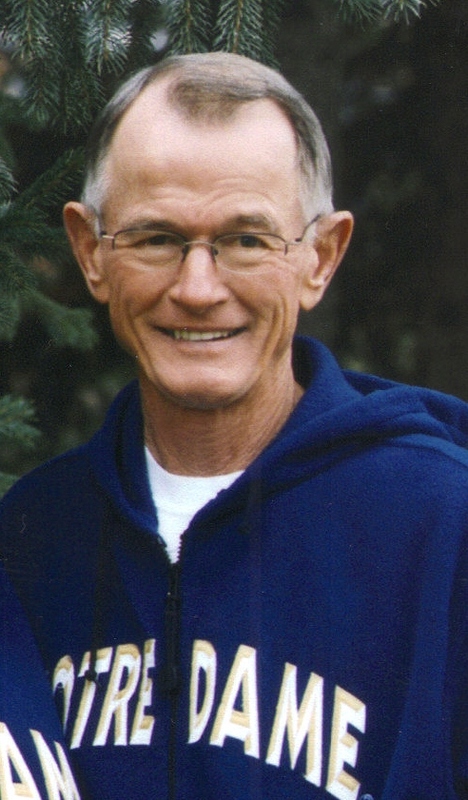 Duane Hansen of Renner, SD died on August 25th, 2010 doing what he loved â€“running. Duane Bernard Hansen was born on August 11, 1941 to Leo and Ida (Bricher) Hansen of Dell Rapids, SD. He graduated from Dell Rapids St. Mary's High School in 1959. He worked at a service station after graduation and joined the National Guard. From 1963 to 2003 Duane was employed by Norwest/Wells Fargo Bank. Duane was the youngest of 16 and married Barbaralee Aschoff on June 8th, 1963. Duane is survived by his wife of 47 years and their children Peggie Hansen Bowman (Andy) of Madison WI, Pamela Hansen of Fargo, ND, Troy Hansen (Twila) of Dell Rapids, SD and Tracy Skuza (Rich) of Sioux Falls, SD. Also mourning the loss of their "Papa" are his fifteen grandchildren: Kean Volin (Kelly), Elliott Volin, Marie Volin, Andi Bowman, Joshua Bowman, Alyssa Hansen, Cort Hansen, Mckynze Hansen, Tayden Hansen, Kirsti Skuza, Kiley Skuza, Kassidy Skuza, Karianna Skuza, and Mitchel Skuza. Duane is also survived by three brothers, Tom Hansen (Roberta), Terry Hansen (Alice) and twin David Hansen (Diane) and seven sisters, Rosie King, Fern Nemmers, Grace Enteringer (Ray), Darlene Nelson (Roger), Erma Berg, Betty Kathol (Bob) and Karli Boelter (Jim) and many nieces and nephews. He was preceded in death by his parents, Leo and Ida Hansen; his siblings, Magnus Hansen, Lawrence "Swede" Hansen, Harold Hansen, Odilo Hansen, and Maryette Geraets; and granddaughter, Grace Ann Bowman. First and foremost in Duane's life was his Catholic faith and being an active long time member (45 years) of Christ the King Catholic Church. He also had many hobbies he enjoyed including spending time with his family, being an avid runner, and gardening. However, one of Duane's favorite hobbies was umpiring and officiating basketball, fast pitch softball, and football. He officiated various sports and ages through out eastern SD for the past 43 years. He was also a member at the YMCA for more than 30 years. Visitation will be held on Sunday August 29th at Christ the King Catholic Church in Sioux Falls at 5:00pm with prayer service and rosary beginning at 7:00pm. Funeral service will be held on Monday August 30th at 10:30a at Christ the King Catholic Church with burial at Dell Rapids St. Mary's Cemetery. In lieu of flowers, monetary donations can be made to Sioux Falls Catholic Schools- O'Gorman High Athletics, 3100 West 41st Street, Sioux Falls, SD, 57105.